We started this project with a concept drawing and a donor car. The first step was to completely disassemble the body so that only the shell remained. After every nut and bolt was removed, we then media blasted the body, which stripped the car down to bare metal. From here, we were able to see repair work that had previously been performed poorly, and that would need to be replaced. Next, we started systematically replacing each section of rusty metal with brand new sheet metal. Below, you can see pictures from the full floor pan replacement that we performed, as well as the replacement of the firewall and cowl. We've nearly completed the sheet metal restoration of the body, which is now very structurally sound. After this, we will begin the fabrication of the front and rear valances, as well as the headlight area, and molding the bumpers into the car. We'll then create the custom hood. 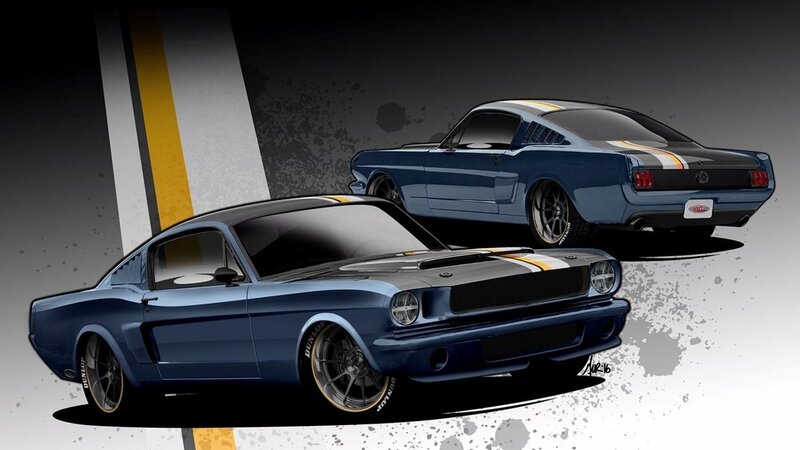 By the time the car is done, it will have all the modern amenities one could ever want, including a fuel-injected Coyote crate engine, five-speed transmission, power disc brakes, power steering, air conditioning, and a custom interior that compliments the stunning looks of the exterior. Stay tuned for more updates! This is going to be one heck of a build!